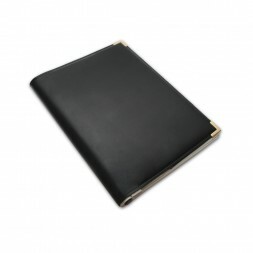 One of the most widely used products in any office reception is the visitor book. A quality book gives a great first impression of your business and is convenient for storing on your front desk or reception area, ideal for easy access when visitors and/or contractors arrive. A member of reception staff can keep a record of visitors entering the premises. There is usually space to hand write name, car registration, time in and who they are visiting. Using a visitor book contributes towards a secure workplace and in addition acts as a fire list in the event of an evacuation. Without a visitor registration system you cannot take an accurate roll call at an assembly point. You must be aware of everybody who should have left the building in an emergency evacuation in order to fulfil your Duty of Care. This will also enable Fire Marshalls to inform the fire brigade if somebody is still in the property when they arrive. Signing a visitor book is often the first interaction a visitor will have with your organisation once they have arrived. Most of all it should be robust and durable due to frequent use. It is important that your visitor book maintains a professional appearance for a positive first impression. Modern visitor books often contain detachable passes for visitors to display on their person whilst on-site, this helps to increase site security. Passes are detached and given to the visitor to wear for the duration of their visit. You can buy this product via our online shop. Visitor books can be personalised with your organisation’s name/logo in gold or silver foil to give an extra-enhanced professional appearance – call 01527 838 890 for details. Looking for Visitor Management Software instead? Kalamazoo Direct provides specialist Visitor Management Software which makes visitor registration quick and easy. Visit our dedicated website to find out more.